We previously mentioned that much of what makes the Folio a business computer is certain software features. Most of them are wrapped up in HP’s ProtecTools suite, a utilities collection that includes a password vault, face recognition, pre-boot authentication and SpareKey, a protocol that helps you log into the computer even if you forgot your password. In the case of face recognition, it really is a two-step process: once the PC recognizes your face, then it searches for your Bluetooth phone, which needs to have been paired. You will also have choices of operating systems. In addition to the choice of Windows 8, you can downgrade to Windows 7 – you know, in case your company is not ready for the Live Tiles and Charms Bar. If you decide to follow that route, you can actually choose between Windows 7 Pro and Home Premium, with the 32bit and 64bit option on the Pro side. The Folio is also SUSE Linux-certified, if that's what you're used to. In a perfect world, serious business computers will not have bad software installed. However, as usual, you will be subject to "less bad software than on a consumer computer". Indeed, the load here is quite light compared to a typical pre-installed PC, but there are some applications that you may not want. They include Evernote, CyberLink MediaSuite, CyberLink PhotoDirector, CyberLink PowerDVD, CyberLink PowerDirector and PDF Complete. HP sells a couple of pre-configured Folios, with prices ranging from $1,049 to $1,448. Except for two configurations, all the rest are equipped with a Core i5 processor which we have mentioned; they do not have a dual-core 2GHz Core i7-3667U chip. Each configuration has 4GB of RAM, along with the same screen resolution and graphics. At the lower end, you will have a 500GB 7200rpm hard disk, instead of a 180GB SSD. The $1,448 model – the only one that is more expensive than the one we tested - has all the specs as our review, except that it comes with a docking station. Maybe you will buy the Folio not because you need a business-level system, really, but just as you only want a stable Ultrabook. If this is true, you will have a lot of options, although so far we have been struggling to find something outstanding; many models have been ruined by short battery life and mediocre design choices. However, if you're willing to grab the opportunity with a non-touch computer like the Folio, then we will not hesitate to direct you to one of our favorite old computers, the Samung Series 9. Sammy is now selling it with the built-in Windows 8, so it's not outdated. At the time of our testing, we were impressed by almost everything: incredibly lightweight and thin design, fast performance, bright 1,600x900 screen and long battery life (actually, we had to check it with Windows 7). Our only warning is that it does not have a touchscreen to interact with Windows 8, but once again, if you're seriously considering the Folio, for sure it is not a big minus. However, if you need the IT-friendly features offered on the Folio, a model such as the Series 9 will certainly not be able to omit it. For those who would not consider anything other than the business computer, there are a few options. We think the Folio’s closest rival might be none other than the $1,249 ThinkPad X1 Carbon (or the X1 Carbon Touch, if you want a touchscreen). This is also a 14-inch business Ultrabook, with a 1,600x900 screen, an Ivy Bridge chipset and business features such as TPM, BIOS encryption, a fingerprint reader and vPro processors for remote management. We're still waiting for the opportunity to test the touchscreen version, but we know that the X1 Carbon is one of the most beautiful Ultrabooks we've tested, but the high price and average battery life make it blamed. You can also consider the Dell XPS 13 (costing $1,000 or more) and the XPS 14 (at $1,100), which are sold on both Dell's consumer and small business sites. 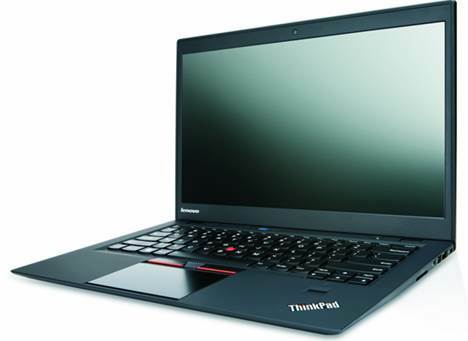 Similar to the Folio and the X1 Carbon, they provide business-oriented features such as TPM, asset tagging, corporate images and custom BIOS. Especially with the 14-inch model, we are impressed by the battery life and powerful graphics performance, although both offer exquisite design, comfortable keyboard and the trackpad is much improved. How we feel about the EliteBook Folio 9470 reminds us of the HP Folio 13 that we evaluated. Both are discreet systems: looking serious, and having sufficient security features to satisfy IT people. Although they appear to be conservative, they are the best Ultrabooks in their time – indeed, they are so good that we had to recommend them to regular consumers. Compared to other Ultrabooks on the market at this time, the 9470 provides longer battery life, a wider selection of ports, a smoother trackpad, a more comfortable keyboard, and slightly faster performance. It's more expensive than other similar-configured models but has a 3-year warranty. How we feel about the EliteBook Folio 9470 reminds us of the HP Folio 13 that we evaluated. However, it is not perfect: it's thicker and heavier than other competing models, it currently has a lower resolution screen and has no touchscreen to interact with Windows 8 (if that's what you are loking for). Those who want these things should try the Lenovo ThinkPad X1 Carbon Touch, although we won’t promise that its battery life will be as good, as we have not had the chance to try it. That is, if you are willing to take a 1,366x768 screen and do not find it very appealing to be able to touch the screen, the EliteBook Folio is a good performer. An HP spokesman has confirmed to us that the Folio 9470 will have the 1,600x900 resolution option in early March. That option will be available to customers in the U.S. and Europe. · Though especially aimed at businesses, the EliteBook Folio is among our favorite Ultrabooks thanks to its long battery life, comfortable keyboard, smooth trackpad and fast performance.